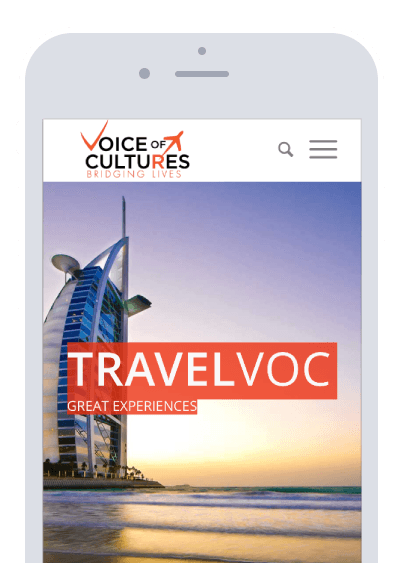 Voice of Cultures is a trusted tour operator, offering exclusive trips exploring biblical, cultures, history, and adventure tours. As part of our dedication to humanity, we also offer private events with the aim of creating value for our clients. For a fair price, you get quality tour guidance, top-notch itinerary, conducive accommodation accompanied by first-rate speakers with a mix of lively programs and events. VOC is determined to deliver the best tour services that will surely leave you delighted as you visit cultural highlights and fascinating sights all around the world. Our trips offer rich cultural experiences at affordable prices which is fantastic value for money. With over 21 years of quality experience and expertise, VOC prioritizes your comfort because we believe how you see the cultures matters. Our mission is to fulfill your travel and tour dreams in creative and exciting ways beyond your expectations. We strive to make every trip fun and energizing for you. We strive to give you the ultimate cultural experience with our tours to exciting destinations, where you come as guests but are treated as royalty at an affordable price. All in one services, be present and enjoy your destination. We think travel should better then just being on the TSA approved list. We take all the guess work out of visiting a foreign country. We create a turn by turn itinerary so you never have to look down. Ancient history meets the modern world of today. Whether your destination is unconventional or classic. We find the best ways for you to venture. when planning your accommodations we take your personal preferences and build them into your stay. Our support is legendary. We care to be there when you need us but we give you space to let you venture on your own. Extend your photo gallery with our group photo stream. Extend your stay through our web app. Login to receive your personalized digital itinerary.